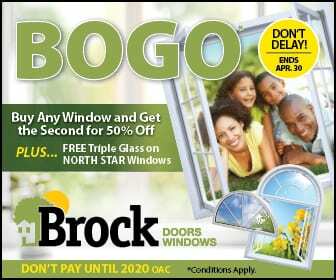 Adding Value to Your Home | Brock Doors & Windows Ltd. Brock Doors & Windows Ltd. Adding Value to Your Home | Brock Doors & Windows Ltd. When it comes to home renovations you should always consider these two words: ADDING VALUE! Sure, we update things to our home to suit personal style, but it is always prudent to consider if the changes we are making will add (or in some cases subtract) value from your home. 1)	Kitchens – Even a few small upgrades to your kitchen can pay big dividends. Things like changing flooring, countertops or even just painting the walls or cabinets can update the look and add tremendous value to the space. The kitchen is the heart of the home and you can expect to recoup 70-80% of the money you invest. 2)	Bathrooms – Adding an extra bathroom or even updating current existing bathrooms can be a great way to improve the look and value of your home. Things like new tiles, fixtures and lighting should allow you to recoup between 65-75% of the cost of the renovation. 3)	Windows and Doors – Adding new windows and doors (especially high efficiency ones) can have several impacts on your home. In the short term, they can save your money on your energy bills each month, and in the long term, as long as match the style of the house can add value. Remember, adding fancy shapes and unique windows might look neat, but it wont necessarily add value. 4)	Decks – Adding a deck or outdoor living space is the most cost effective way to add usable square footage to your home and thus can add additional value. You can expect a new deck to recoup up to 85% of the cost making it a great addition to any home. 5)	Creating more usable space – It’s a rule of thumb that improvements that add additional functional space to your home will hold their value longer than just cosmetic updates. Consider turning unused attic space into an additional bedroom or finishing a basement to be used as group meeting space. The more function a home has, the more it will be worth to the next buyer. There are several other home improvements you can make to your home that will add value but these are a good place to start. At the end of the day, a simple cleaning and coat of paint can go a long way, but these updates can make your home more enjoyable for you to live in and increase the overall value in the long run.